Start getting genuine results from PPC! 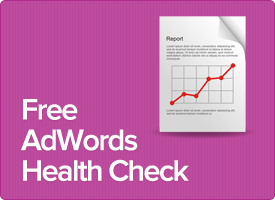 Can’t find your PPC ads appearing anywhere? AdWords taking up too much of your time? Spending heaps but not getting the results? If you’re unhappy with the results of your PPC (pay-per-click) marketing campaign, don’t worry! You’re in the same boat as thousands of other online marketing advertisers. The thing they don’t tell you before setting out is that PPC marketing can be very complicated, and you can often chew through tens of thousands of dollars before you reach the magic combination of keywords and ads. Advia offers a comprehensive pay-per-click management service designed to help businesses succeed with profitable PPC advertising without wasting truck loads of money in the process. If you’d like to help your business gain exposure through Google Advertising and you’d like a bit of a nudge in the right direction, please give us a call, we’re happy to help. All of our PPC campaign managers have been certified by Google as an expert in the field of AdWords & PPC management. Advertise your business on the PPC platforms of Google, Facebook, Bing, YouTube & More! We construct dozens of ad-variations to test what potential customers find most attractive. We’re experts at PPC copywriting, so we know what works. We don’t place any limits on the amount of keywords you can advertise under, although we will work with you to create the most targeted and effective keyword list. Our PPC management service is fully transparent, meaning you know exactly what’s being done for your money and where your advertising budget is being spent. We’ve spent years developing our PPC campaign management methodology. We’ve tested ad variations, keyword match types, demographic targeting, you name it. We’ve done the testing so you can enjoy the benefits. Great for local and mobile businesses like restaurants, locksmiths, plumbers and more. Example: Cost-Per-Click decreased by 50%! Give us a call today to organise a free PPC campaign analysis if you’re already running a PPC campaign. If you’re looking to get started with PPC advertising, get in touch and we can give you a quote based on your industry and keywords.